Dr. Ramez Antoun PT, DPT, PNF, OMT, SFMA, FMS, FCS. Ramez started his career as a Strength & Conditioning coach and quickly realized how many of his clients could not resolve painful problems despite medical attention & formal rehabilitation. The clients that he couldn’t help motivated him to get his Doctorate in Physical Therapy from Umass Lowell after completing his Bachelors in Exercise Physiology and minor in Nutrition. 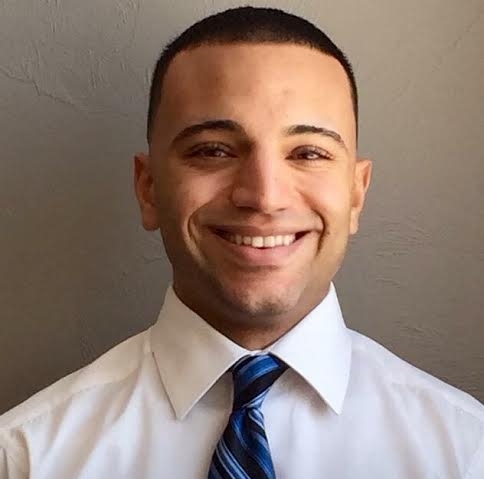 Ramez is currently a licensed Physical Therapist in New Jersey, Pennsylvania, and Massachusetts. He founded Neuropedics to help people overcome frustrating aches & pains while coming back stronger than before. After receiving his Doctorate, Ramez traveled to the west coast to complete a 9-month post Graduate Residency with a focus on Neuromuscular Rehabilitation at the Kaiser Foundation Rehabilitation Center in Vallejo, CA to study Proprioceptive Neuromuscular Facilitation (PNF). PNF is a manual therapy method to help people reconnect with movement patterns to walk again after a stroke or brain injury. Ramez is now recognized as a PNF level 5 therapist by the International PNF Association (IPNFA). After returning back to the east coast, Ramez then completed a 2-year Post Graduate fellowship program at The Institute of Orthopedic Manual Therapy (IOMT). He underwent extensive orthopedic training in the manual evaluation and treatment of joint limitations that seem to be associated with various orthopedic pain syndromes such as but not limited to low back & neck pain. Ramez is now internationally recognized as an Orthopedic Manual therapist (OMT). Ramez is apart of the Functional Movement Systems organization, which is medical & fitness educational company that has established objective baselines & standard testing procedures for functional movement patterns. He is an assistant instructor for SFMA courses which is the medical diagnostic system that helps bring clarity to clients by providing them with a movement diagnosis that can often help explain the medical diagnosis they’ve been given. This can provide perspective to the source vs cause of pain & movement issues. Ramez’s loves strength training using a combination of body weight and kettlebell training. Ramez is currently a student at The Traditional Wing Chun Kung Fu Academy and loves practicing & studying martial arts’, specifically Kung Fu & Tai Chi for its healing & recovery effects. He works with a wide range of movement abilities from competitive athletes to the general population. When Ramez is not working or training he loves spending time with his wife and friends. He enjoys cooking or what he calls "playing in the kitchen" and reading. He loves being outside by any body of water, hiking, kayaking, paddle boarding, swimming, or just simply relaxing outdoors.